We can construct a variety of staircase configurations in your choice of hardwood, including mahogany, ash, oak, walnut or Iroko. A well-constructed staircase can enhance your property and create an excellent first impression for visitors. Right down to the spindles and balustrades, we can create a unique staircase that is both practical and beautiful. Straight Stairs are a great choice if you desire a traditional look. A variety of hardwood options can be used to construct your customised staircase. Rest assured, we only use the highest quality of materials to create a long-lasting and attractive finish. Winder box stairs are ideal if you need to conserve space. They also add an aesthetically pleasing new dimension to your home. Our space saving staircases are a great solution if you require a staircase in a small area. Perfect for making the best use of your available space. You can choose from open or closed string staircases, depending on your own unique tastes and the style of your home. 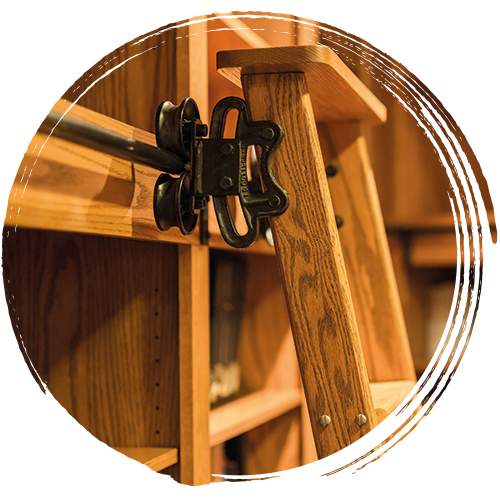 Access hard to reach areas of your home library, closet, pantry, cellar or loft with a library ladder, constructed to ensure safety whilst creating a stylish look. Whether you want a traditional or contemporary look, we can create a staircase that complements the character of your property. All our staircases are made-to-measure in our workshop, using the highest quality timber. If you have a staircase requirement that you’d like to discuss, then we’d love to hear from you. Our friendly team will take the time to understand your vision and work with you to bring it to life. We always endeavour to meet the exact specifications of our client. However, if we don’t think something is possible or we have a concern surrounding the safety, then we’ll be completely honest. We’ll offer our expert advice and make recommendations for the most suitable options, taking into consideration the available space and your personal tastes. All our joiners are time-served and have spent years mastering the craft. We have a real focus on quality and attention to detail. Every project we work on is approached with the same passion and commitment to excellence. 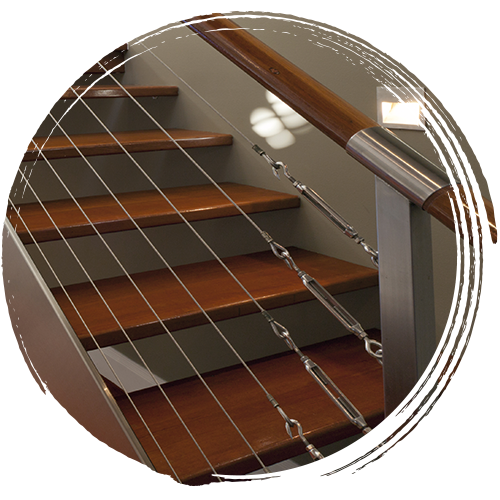 You can have complete peace of mind that your staircase will be manufactured and installed to the highest standard. Each part will be made by us in our own workshop to ensure consistency of quality.